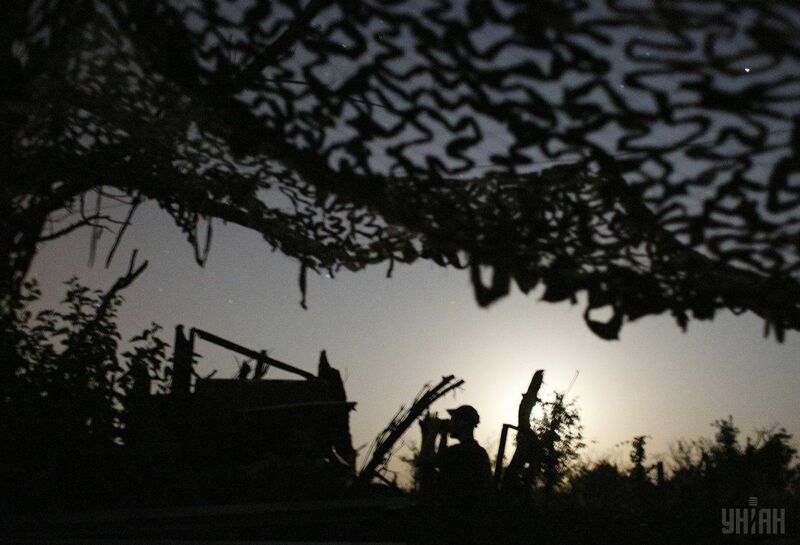 Five Ukrainian soldiers were killed in action (KIA), another eight were wounded in action (WIA) amid 29 attacks on Ukrainian troops in Donbas, eastern Ukraine, from 06:00 on Thursday, July 20, until 06:00 on Friday, July 21, according to the press service of the Anti-Terrorist Operation (ATO) Headquarters. "In total, the enemy opened fire on our positions 29 times in the past day. ATO forces fired back 16 times. Unfortunately, five Ukrainian soldiers were killed and eight were wounded. It should be added that the enemy not only ceased provocative fire, but also sustained serious casualties due to the skillful and prompt actions of our soldiers," the ATO HQ said in an update on Friday morning. Read alsoUkraine updates data on Donbas casualties in last dayThe Ukrainian army had to respond when Russia's hybrid military forces intensified fire in the Donetsk sector after 18:00 local time on July 20, it said. "Starting from 19:00 and almost until 23:00, militants used 120mm and 82mm mortars, grenade launchers and small arms to attack our positions near the town of Avdiyivka from different locations four times. Each time, the Ukrainian military opened dense fire in response, making the enemy stop shelling," the report said. Late on Thursday, Russian proxies opened fire from mortars and grenade launchers to attack Ukrainian strongholds at the Butivka coal mine. The ATO forces also used grenade launchers and heavy machine guns in response. In particular, one Ukrainian soldier was killed and one was wounded in this incident. At 22:00 local time, the enemy violated the ceasefire near the village of Stanytsia Luhanska in the Luhansk sector and near the village of Vodiane in the Donetsk sector.